Uneven expectations cause both shoppers and small business owners to look inward for stimulation. Consumer confidence’s bumpy ride in the first quarter can most be attributed to shoppers’ lack of faith in economic progress and was undoubtedly shaped by perceived Washington gridlock on budgetary issues. .... "
Loyalty systems big flaw. by Roger Dooley. Our brains in particular do not like demotion. I remember my own particular example with Delta Airlines. After years of flying globally and reaching the highest platinum levels, I retired, minimized travel, and was kicked down to the lowest 'asphalt' level, it seemed. Now I am as disloyal to Delta as possible. Has that demotion process been included in their models of business? Somehow I don't think so. The article also talks about minimizing the damage.
" ... Yes, a "Dummies" Book on Neuromarketing but trust us, it is full of excellent information on the rapidly expanding field of consumer neuroscience. Genco, Pohlmann and Steidl provide a well organized, easy to read, step by step review of how neuromarketing is influencing consumer insight and its applications in advertising, shopper marketing, product design and development, etc. The authors provide a well balanced (and fair) approach with scientific background, insight on the various methodologies employed and how best to choose a vendor. They also address potential ethical issues with neuromarketing. ... "
Had reason to look at how to quickly generate simple infographics, and found this review and list of free options. The intent is to use it to create examples that would later be given to a graphic artist to improve. Still, you have to be a graphics designer to do this well ... which I am not, but it is nice to know you can build some simple things with template generators. Any other suggestions for methods? More from Disney Research. We all love the work of the sketch artist; quickly and effectively capturing both engaging art and knowledge. Few of us can do it well. We experimented with template based techniques Could this skill be captured by a data and intelligence-based approach? An interesting problem of considerable potential value. By monitoring artists as they sketch human faces, stroke by stroke, scientists at Disney Research, Pittsburgh, have built computer models that learn each artist's drawing style, how they use strokes and how they select features to highlight as they interpret a face into a portrait. A better understanding of this abstraction process, the researchers stated, not only is interesting from an artistic point of view, but also can help in developing artificial drawing tools. "There's something about an artist's interpretation of a subject that people find compelling," said Moshe Mahler, a digital artist at Disney Research, Pittsburgh. "We're trying to capture that – to create a computer model of it – in a way that no one has done before." I have been a user of Google+ since the beginning, prompted to do that by a clients use of the social technology. Though now where near the traffic of Linkedin, Twitter or Facebook, its use has been increasing. Especially for professional use. Since then, I have used it only rarely, but do know several groups that are active there. This recent ComputerWorld article gives a good overview of the basics. In AdAge: A considerably complete program for tracking loyalty. " ... Kellogg's loyalty program brings in data on 90% of its products ... Kellogg's Family Rewards loyalty program, which counts 3.5 million members, allows the brand to collect item and store-location data across 90% of its product portfolio in the U.S. The biggest obstacle to using a brand-based platform is "the current marketing structure and dependency on brand funding to run programs," said Maria Keller, Kellogg's director of application solutions, digital marketing and IT ... "
From Fast Company: Every company wants to avoid expensive mistakes. New methods of analytics with more data is leading to making better hiring choices " ... An interesting advantage of big data is its use to dissipate workplace myths. For example, a popular myth is that employees need a strong work-life balance to be engaged. Actually, we’ve discovered that engagement levels rise when employees are mission-driven, often by a big project or challenge, when they typically have increased work hours and reduced personal time. ... " . Learnings from the IBM company Kenexa. See further their worktrends report. Of interest. by the SNCR which I worked with since its founding. I plan to attend. Join the Society for New Communications Research and Francois Gossieaux, Senior Fellow of the Society for New Communications Research and Co-founder of Human 1.0, and Grant Johnson, Chief Marketing Officer of SDL for a webinar on “CMO 2.0: Marketing Strategies for Dealing with Today’s Marketing Challenges.” In today's social, mobile, big data and cloud world, significantly increasing demands have been placed on marketing. But if you're up for the challenge, there's never been a better time to be in marketing. This informative webinar will examine different challenges that marketing is faced today and will provide advice and tips on how to operate in a networked way. Learn the tools and strategies needed to successful market in today’s digital world. The ACM is the premier computing association in the US. It's the only major technical group that I have remained a member of for many years. This blog is mirrored in their home page. The ACM covers both academic and professional technical and business issues. See also their August 2013 issue. Major articles require membership. And more In Knowledge@Wharton on Mobile devices and crime. Here in much more detail about the implications of mobile to cybercrime. Your phone may be your weakest link. " ... Not only do such devices become points of access for cybercriminals, but they also may be more easily breached than personal computers since many consumers do not secure their smartphones or tablets with antivirus software or take simple precautions such as enabling password protection. ... "
In AdAge: Always thought that smartphones decreased crime by adding a new element of crowdsourced communications to inform authorities. But it turns out that smartphones also strongly attract crime: " ... more than 1.6 million Americans were victims of smartphone theft last year and why thefts of mobile devices now make up 40 percent of all robberies in major American cities. The rising street crime is exacting a heavy toll on consumers who spend an estimated $30 billion each year replacing lost and stolen devices, according to Lookout, a San Francisco-based mobile security firm. ... "
I like the idea of blending emergent technologies. Here the sensory absorption of Google Glass and the realization capability of 3D Printing. " .... It was great to catch up with Aarti Shah from The Holmes Report, and Matthew Greeley, CEO of BrightIdea. Matt had a great take on 3D printers. He pointed out that when the time between thinking something up, and then physically having it – shrinks towards nothing – as with future 3D printers, our reality becomes less distinguishable from living in a digital reality, the Singularity. .... " So you can see with Glass then transmit to a 3D printer to 'have it'. Though I doubt that the example given, a tomato, will be printable by a printer anytime soon. Using Gamification dynamics at Ford Canada. Sales teams, which by their nature are already competitive, are a natural place to insert gaming methods that enhance and focus competition. It has been done historically in the background for a long time. So why not make the competition more dynamic and 'up front' to speed and better share and focus sales dynamics? We experimented with just such an example. The Ford example was also covered in more detail in this recent book. Via Junaio. Work on using augmented reality as an after service maintenance delivery tool for Bosch. Maintenance enhancement in manufacturing was also an area we examined. Consider also the interaction of compliance and maintenance activities as another value area. So just what just is the open source statistical, data science and visualization language R? A new short video that describes the history, community and applications of the method. Designed to be very introductory and suitable to be used with management. Just a minute and a half long. .... After looking at this again ... I note that it is a very minimal description of, and not an introduction to R ... Hardly worth a video ... the equivalent could be put in a few paragraphs and easier to scan as text. Some recent exposure to card game theory led me to this WSJ article. " ... This growth over the past decade has been accompanied by a profound change in how the game is played. Concepts from the branch of mathematics known as game theory have inspired new ideas in poker strategy and new advice for ordinary players. Poker is still a game of reading people, but grasping the significance of their tics and twitches isn't nearly as important as being able to profile their playing styles and understand what their bets mean. ... "
Using our mobile apps you can track your location, visualize where you've been, and upload your data to the OpenPaths website. You can then download your data from the website in a variety of friendly formats, including KML, JSON, and CSV. The OpenPaths API enables you to integrate your own software with the platform, and you can import data from location-based services like Foursquare. .... You can keep your location history to yourself, or you can share it with specific research initiatives, art projects, or educational programs as you so choose. The OpenPaths online interface allows you to manage who has access to your data. Regardless, your data is always encrypted on the OpenPaths servers, and cannot be accessed by anyone without your express consent. ... "
In Forbes: A demonstration about how you can hack into an automobile via a government mandated port and perform some very worrisome actions. Hackers and the government can control your car. I am more worried about the government here. Todd Henry of Accidential Creative's curiously named new book: Die Empty: Unleash Your Best Work Every Day is available for pre-order. Link to read chapter 1 free. And Chapter 2. I have enjoyed his previous books. Send me a copy for a later review here. In Forbes: A view of where they are going and the kinds of empowerment being developed. Google CIO Ben Fried speaks: " ... Fried and his leadership team defined Google IT’s mission as “To Empower Googlers with World Leading Technology.” This is a bold mission, and it clearly states that average is not good enough. Fried and his team embraced this mission because it complemented the company’s mission as a whole, which is “To Organize the World’s Information and Make It Universally Accessible and Useful.” One ambitious mission deserves another to support it. ... "
In the large enterprise we constructed a number of datamining efforts that looked to classify solutions based on measurements we had gathered. One popular technique, called Regression Tree Classification, made it easy to create and adapt decision trees based on small amounts of data. Decision trees are very easy for management to understand. I would often be approached with a data set that would be much smaller than the 'Big Data' being gathered today, and quickly construct a model that could be tested against future data. We used this method against many applications. Many other such modeling methods exist and are available in systems like R. I am now in the midst of addressing such a datamining problem for a midsize startup. I see in a recent IBM Midsize Insider article about how to think about setting up and utilizing a data mining program. The piece covers the issues very broadly. I would suggest also to include an expert consultant in data mining, at least for the first few examples. Also, make sure to start simple and to start with problems that are likely to provide quick results. Further, include business decision makers in the selection of the data, ensuring that it is correct, and in the use of the decision recommendations in the real world. The article linked to above also provides a good list of application ideas that are good to examine for initial applications. If you gather information about how you are doing your business, and seek methods that will make it operate better, take a look at data mining methods. I often cover data mining in this blog. Roger Dooley author of Brainfluence, seeks to answer a number of the criticisms that have emerged recently about neuromarketing methods in the nontechnical press. Worth a read, Roger is usually reasonable about expectations regarding the technology. I agree with his broad conclusion: " ... I like an even broader definition of neuromarketing that includes the use of brain and behavior research to improve marketing. That is, my view of neuromarketing encompasses the development of rules and techniques based on how humans process information and behave rather than studies of specific ads or products.... "
Bain & Company on the topic. Very well done. Taking measure is very important. " ... Innovation is one of the most popular acts in business, but one of the hardest to pull off. Bain & Company recently surveyed nearly 450 executives around the world at enterprises with more than $100 million in revenue, and two-thirds said their companies made innovation one of their top three priorities. Yet fewer than one-quarter believed that their companies were effective innovators. Even fewer, just one in five, said they were strong at “breakthrough” innovation. ... "
Not unexpected. A play on the drone idea, but with a higher element of cooperation. Which should require a higher level of autonomy and AI. " .... The U.S. Army wants to move from using robots as tools to creating a human-robot cooperative that will make machines trusted members of the military. ... "
Have had cause to look at how to effectively and cheaply generate infographics. I have criticized the infographics form a number of times here, but do like the storytelling aspect of their use. Once complex numerical values are included, it is far better to use data visualization to act as the bedrock of providing understanding. Along the way discovered this review of free online Infographics generators. Still, you have to be a graphics designer to do this well ... which I am not, but it is nice to know you can build some simple things with template generators. Why also not use slide and word processing packages, which can now integrate visuals easily, and have their own template libraries? A good example of how universities are starting to integrate online courses with other offerings. What is its implication more broadly to the University system? Revolutionary changes are in progress. In Wired: A camera that can map an interior space and digitize it. An impressive ability that I can think of some retail uses for. " ... This fall, MatterPort is releasing a camera that can scan, compile, and make cloud-ready a 3-D model of your house, all in about 45 minutes. “We’re moving towards a world where people can send 3-D realities to each other,” says CEO Matt Bell. The pitch may sound a little New Agey, but with a $3,000 price point and simple iPad interface, the goal is practicality. ... "
Every line in the Novel: The Great Gatsby, as an infographic. The future of writing? Or a better understanding of structure in unstructured data? Here mostly a time line. Wal-Mart labs has acquired a startup to speed its web site operation. More serious site improvements are being integrated by Wal-Mart, emphasizing mobile platforms. " ... Walmart’s Silicon Valley innovation lab dubbed @WalmartLabs today announced it has acquired Torbit, a cloud-based website acceleration service. The retailer already plans to use Torbit’s site optimization technology to improve performance across desktops, tablets, and mobile phones. ... "
" ... Wolfram Community is the go-to place to discuss questions and issues relating to Mathematica and other Wolfram products in a crowdsourced communication setting. Wolfram leaders, Mathematica experts, scientists, students and many others are already using Wolfram Community to interact and share their knowledge. Wolfram is known for its creativity and innovation, and we're excited to continue to build this culture among the community of Wolfram users. Wolfram Community is free and open to the public, and we will continue to add more features in the weeks to come. In the article they say these are 'screw ups', and I agree. I think they are more broadly applicable than just to what is called 'predictive analytics' today. So consider scanning these as general watch outs. Most of these examples are very broad and any analysts should know.
" When CFOs Think Fast ……They may get the company into a lot of trouble. Here's where they go astray—and how to avoid it. ... Daniel Kahneman, in his best-selling book, "Thinking, Fast and Slow," says there are basically two modes of thinking. Fast and slow. Fast thinking is intuitive, he says. It arises from experience and broad unconscious associations between ideas. Slow thinking, in contrast, relies on reason, analysis and deliberation. Both have their time and place. But the psychology professor and Nobel laureate in economics warns about the risks of too much fast thinking when thinking slowly would lead us to better decisions.... "
In the Forrester Blog by Dan Bieler. More in the article: " ... new Forrester survey data indicates several gaps in opinion about network infrastructure aspects between business and IT leaders. We see a risk that IT will purchase network and collaboration assets that do not address the demand by business lines. Similarly, there is a risk that business lines remain unaware of network and collaboration assets that IT has put in place. Under both scenarios, businesses waste valuable resources and end up with an inefficient network and collaboration infrastructure. ... "
A look at the current tablet market. Tablets continue to replace laptops for personal computing and information access power. Apples share drops among other contenders. Once again I point to Sandra Hughes' Web site. She was previously chief privacy officer at Procter & Gamble. We were colleagues in those years. We met again today to discuss privacy issues caused by the recent NSA revelations, data security and over viewed compliance strategies and related technological methods. Sandy Hughes would be particularly good as an adviser or board member to companies that have privacy exposure, as many companies do today. Even if they don't think they do. The link above also provides a nice graphic describing her areas of experience and influence. More about her and contact information. 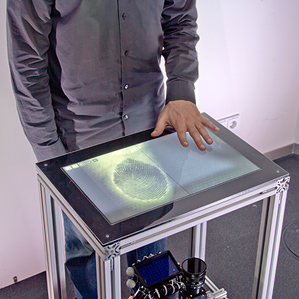 We saw demonstrations of tabletop computing nearly a decade ago at several labs. Yet the format has not taken hold, though a few systems are still available. At the time I did think that this would be the future of the interface, along with walls that we could gesture to and use as large scale displays. Yet integrating furniture with displays is not mobile, nor do tables and displays get updated at the same rate. We saw a similar conclusion when a number of manufacturers put displays on kitchen devices like refrigerators. MJ Perry writes and provides an informative map. Shale oil is a big driver. A case of retailer A&P using a big Data Portal. " ... This cloud-based portal enables retailers to share their proprietary data – including point of sale (POS), inventory, loyalty and more – with their supplier partners. It allows a retailer's vendors to work with and analyze the same data the retailer does in order to collaborate on mutual business goals. ... "
In New Scientist: An AI that is apparently equivalent to a 4 year old in a verbal test. A big part of intelligence is our ability to manage our knowledge of the world and apply it to decisions. " ... Step forward ConceptNet. Developed by Catherine Havasi and her team at the MIT Media Lab ConceptNet draws upon a crowdsourced database of millions of statements describing simple relationships between everyday objects, such as "a fawn is a deer" or "ice cream is capable of melting". Havasi describes the system as containing "the kind of information that everybody knows about the world but that nobody ever writes down because we learn it too early". ... "
Had not heard much from Disney of late in the digital world. But now an interesting play. Reminiscent of other simulation world ideas, which are usually difficult to pull off. Now can it be used to accurately mimic real spaces? In one experiment we built a system that combined physical touch and a system to design store spaces. " ... Disney,a company that knows a thing or two about bringing characters off the page and into the real world, has produced a prototype of a new kind of interface that does just that. A tiny mobile projector beams out a figure that moves around a surface embedded with invisible infrared-absorbing sensors--a book, a desktop, a game board, a table, or a wall. A camera attached to the projector tracks the figure and reads the code printed in the infrared-absorbent ink, which causes the figure to interact meaningfully with the sensed object. A projected figure can track mud from an illustration of a puddle, or jump up and down on a paper trampoline. ... "
Datification is a new term for me, but a natural next step. In our own enterprise we drove the use of data for a long time. Many other companies are now discovering the value of this. And much more expertise will be needed in handling and analyzing that data, driving many opportunities. In iMediaConnect: An example of how a company links past behavior to promotion. Apparently a big success: " .... How do you reach customers right at the point of purchase? This case study shows how one food brand ... revolutionized digital shopper marketing. Food on the Table is a mobile app that provides recipes to consumers based on their grocery list and sales in the store. When the company approached Stouffer's for a partnership, neither of them could have imagined the success they would find when trying to deliver relevant, truly native experiences to consumers at the point of purchase. Here's how they did it.... "
In Fastcompany: Do interesting things. An early goal of our innovation centers. Make a space that will boost innovaton for workers. Connect it with lots of outside resources. Bring in speakers and innovations and let workers experience them in detail. Lesson learned: Do not let it become merely a place to market inbred ideas to your customers. " ... Legendary ad creative John Hegarty is known for saying "do interesting things and interesting things will happen to you" and he walks the talk. Here, he shares some insight on getting, and staying more, creative.... "
"Whether it's statistical charts, geographic maps, or the snappy graphical statistics you see on your favorite news sites, the art of data graphics or visualization is fast becoming a movement of its own. In Data Points: Visualization That Means Something, author Nathan Yau presents an intriguing complement to his bestseller Visualize This, this time focusing on the graphics side of data analysis. Using examples from art, design, business, statistics, cartography, and online media, he explores both standard-and not so standard-concepts and ideas about illustrating data. Shares intriguing ideas from Nathan Yau, author of Visualize This and creator of flowingdata.com, with over 66,000 subscribers. Focuses on visualization, data graphics that help viewers see trends and patterns they might not otherwise see in a table ... "
See Robert Kabacoff's web site: StatMethods. And his associated blog. These cover statistical methods delivered in R. Devoted to learning R quickly and providing examples for its use for real statistical and visualization problems. From Catlin Garrett via Vincent Granville. Good thoughts worth reviewing. Boils down to really understanding the source of your data elements, and how they were generated. Examine the elements, if there are too many to examine, visualize them and look for anomalies. Get access to an expert on the business generation and use of the data and have them do the same. Comments have some good points too. Another example of using facial recognition for retail experience. Here apparently to detect VIPs. Had talked to people developing casino applications to detect people banned from the premises, where it was suggested that the same thing could be used to detect big spenders and personalize their presence. But recognition may not be seen as a positive event. And more generally Google Glass Facial Recognition. I used to give informal tours of Silicon Valley starting at Stanford, and often got the question: Why here? I had a different perspective because I was usually a visitor as well. But I was a student of industrial university collaboration. This article has some good thoughts. On why it is difficult to replicate. Location Analytics example from Placed. Dated but interesting with broad statistics: " ..... In the largest showrooming study to date, Placed identified Best Buy and Target as high-risk retailers for Amazon customers to view offline and buy online. Surprisingly, Best Buy and Target were not the most at risk for showroomers taking over their aisles. The results from the Placed: Aisle to Amazon Study found that consumers who showroom and then purchase on Amazon are 20% more likely to visit Best Buy and 15% more likely to visit Target than average, but Bed Bath & Beyond, PetSmart and Toys ‘R’ Us all face greater risk. ... "
In Knowledge Core: Intriguing piece. Philosophically oriented. A question we have asked of all analytics for many decades. With the usual cautions and prescriptions. But I ask: Has this changed because you have more or more volatile data? We always sought more data, and often did not have it. Now we have it, and what does that mean? Better predictions? Or more difficult ones to explain? In the midst of looking at some User Interfaces for the R statistical and visualization system. The RStudio system was brought to my attention by several people and sources. If anyone has other suggestions for examination, please send them along. Also includes educational and contracting resources: " ... RStudio is a company dedicated to providing software, education, and services for the R statistical computing environment. We started RStudio because we were excited and inspired by R. The creators of R provided a flexible and powerful foundation for statistical computing; then made it free and open so that it could be improved collaboratively and its benefits could be shared by the widest possible audience.... "
Check out their screencast of RStudio productivity functions at the link above. This will give you a good view of what it can do. Note that this will be most relevant to analysts with programming experience. Economist MJ Perry on the diminishing monopoly of Microsoft Windows and its interaction with the market. I remember when IBM was criticized for its monopoly of computing. Have not looked at this yet, but seems to be a good starter piece. More people are asking me about R these days. Short, simple, non technical. " ... R is hot. Whether measured by more than 4,400 add-on packages, the 18,000+ members of LinkedIn's R group or the close to 80 R Meetup groups currently in existence, there can be little doubt that interest in the R statistics language, especially for data analysis, is soaring. ... "
Also, see my review of this book. I have been using it as an introduction. An interesting experiment, that could have some implication for direct EEG visualization. Applications for neuromarketing? But see the Brainwashed book, for cautions about that. This method will not make u for an overreach of the science. I do like the idea of strong visualization of data. Based on the Neurosky Mindwave EEG device. Not a concept I had ever thought about, but as we continue to pump more data and device interactions across an Internet of Things, may become crucial. In CWworld. 'Everyday Effect' Campaign Aims to Show Just How P&G Touches And Improves Lives ... Procter & Gamble has been saying for seven years that it touches and improves lives. Now it wants to show you how. The company's latest corporate campaign effort shines the spotlight more on its brands, making product pitches within a feel-good image campaign. Led by WPP's Grey with digital creative assistance from Yahoo, "The Everyday Effect" launched quietly in January with a 60-second online video, adapted last month into a 30-second spot running on cable and several spot TV markets. .. "
In Knowledge@Wharton: (In English and Chinese). " ... Chinese Supply Chains Reach an ‘Inflection Point’ – and Multinationals Recast Strategies ... " Precisely what we modeled in the late 2000's using complexity and agent modeling techniques. We did not predict this coming, but could have used the same simulation models to help understand the implications of these changes. From the Santa Fe Institute: I used to be our representative to SFI in the 90s and we got quite a few inspirations from them, and we provided them with problems to solve. Some led to major projects. " ... Cities have been compared to everything from beehives to river networks, but most of these metaphors fall short. In the Santa Fe New Mexican, SFI Professor Luis Bettencourt looks to the data to suggest a new way of thinking about how cities function and grow. ... " . The SFI article is non technical, but points to others that give you the complexity technology. In SMB Resource: This article was brought to my attention recently. It struck home because I have been working with companies that are increasingly specifying mobile data and analytics delivery. It is expected that their executives and many other decision makers will be on the road, talking to consumers, customers and suppliers, and integrating captured insights. So mobile and inherently flexible workplaces are required. The mobile workplace is here, the technology is ready, its just the people that need to understand how they fit in. The article uses the recent Yahoo case of Marissa Mayer requiring employees to spend more time at work. It asks the question: Does Work Get Done, Even if No One is Watching? Well yes, the modern office has been extended far beyond the physical office world. Stating it otherwise: that Some Work Cannot be Done with All People Watching. In a social, mobile and volatile world the workers need to get out there and to understand the environment their companies are working in. Sure, this does not cover all jobs and responsibilities. As we also quickly discovered there was great social value in getting people together face-to-face on a regular basis. Measures of progress and completion of work need to be captured, verified and shared. Technologies like instant on video conferencing enhanced the feeling of being a group working together. Group oriented data virtualization, like that used in Business Sphere, can also build group identity and focus. We experiment with these ideas by first experimenting with these ideas among people that were already located apart, or were mostly on the road. This allowed us to understand the dynamics of the idea in a given company context, then extend it to other groups. Even technologies like gamification were experimented with to improve group engagement. The article suggests that performance be enhanced by 1.) Connecting through the cloud 2.) Enhancing Social Collaboration and 3.) Have a Mobile Strategy. And covers a number of details involved. Well done. This is even more valuable to the small and medium size business, especially when a SMB has to connect with the consumer and outside suppliers. That work can be done, and often has to be done outside the traditional office. This piece makes the point that I often do ... that all analytics, all business decisions, are predictive. The word 'predictive' includes the implication that the result may be imprecise, or even wrong. How do we manage that? I have always enjoyed the Wharton series of papers and videos. I just noticed that they had a series of posts especially designed for High School Students. Here is an example. An interesting idea, but no one but advanced HS students would be interested in these, and they should be stretching themselves to adult articles. This economics article is about coming US Social Security shortfalls. Not technical, very generally readable. Brought to my attention for a project that will require more than the usual amount of malicious software security. A virtual sandbox called Sandboxie that prevents software being run within it from altering any other parts of the system outside the sandbox. Exploring this and alternatives. Somewhat, but not very technical. A CW article that explains its use. Last month I gave a talk to a large company that is actively looking for new ways to compete. They have long been seen as a lower cost, but less innovative service provider. How does a company like this understand their competitive space? And in particular, how do they understand how that space is evolving over time? An article from Recorded Future that addresses this dilemma. How do you rapidly adapt in your domain? What public and private information can be leveraged to make you as agile as possible. Gain critical insights from web intelligence, combine that with your own internal sensory data, and drive to key changes in your methods. In GigaOM: A not unexpected development. They have been around for years. Now 2014 seems to be the year for broad delivery. iWatch expected soon. How will this influence the more personal vs business uses of the smartphone? Will it have commercial uses despite the yet smaller screen? In some of our own work we have seen a specification of the delivery of Business Intelligence applications on the smartphone. Will this lead to delivery on the watch as well? How they will integrate well with other devices and tablets also remains to be seen. What is the ideal number of devices we should have with us? A simple but still incomplete view of the ROI of gamification. The same approach can be seen for many kinds of applications. " ... Measuring ROI is an elusive task: you have external factors that affect the results; measuring the baseline is a subjective process; forecasting future impact is hard and even calculating the actual investment is a project by itself. ... " I see that the GCO site that this is on is itself 'gamified', which is appropriate, but is also annoying. The value also needs to first rise above that level of annoyance.
" Data virtualization allows an organization to make its enterprise data easily available to business users. From a more technical standpoint, data virtualization makes all the enterprise data that has been dispersed over a multitude of IT systems look like one logical database—even if that data is buried deeply in IT systems. The effect of using data virtualization is that organizations can increase the return on their investment in data processing. .... "
Still a research domain, but where does it stand today, and who are the technology players involved? Ultimately this is where we want to go, what will it take to make it happen? In Bain & Company: How the cloud is reshaping the business of software. Very true. Some interesting statistics embedded. In my experience just this week I encountered the need to selectively transfer a large group of images from a smartphone sensor to another device for analysis. An unstructured data extract. Both devices support Cloud interaction. But the smartphone has an image app that makes it very cumbersome to make a selective transfer. As a result lots of time was wasted. In the HBR Blog. (This apparently now requires a free registration) Some thoughts about how to establish a long term career. At first I had a problem with the too often used 'sustainable' label, but I liked the thoughts expressed. I did some of these things over my long term career, should have done more. Still working. In Teradata Magazine: Agility and cost savings in the cloud. " ... Increasing the bottom line is critical for companies, and the cloud can save them money. In fact, in a survey conducted by Enterprise Management Associates, 76% said cloud computing delivered cost savings. It also offers platforms that incorporate sophisticated analytic processes to provide greater insights and predictive outcomes using new and valuable data, such as social, machine and sensor data. ... "
What recruiters know about you, whether you are looking for another job or not. And new developments in these areas. Note the combination of search with knowledge structure focused at a particular task. " ... What recruiters know about you is about to get a whole lot deeper than what you put on your resume ... " " ... An emerging class of search engines is taking a big data approach to recruiting by crawling the Web for every bit of data about you, assembling it into a master profile, rating your knowledge, skill levels and interests, and serving it up to recruiters who can filter it by location, skill, the school you attended and a range of other criteria. ... "
In Engadget: And it can tell what you are listening through analyzing an audio fingerprint. More data and less privacy? I always thought this approach was obvious, but it is nice to have it restated here. Get your best marketing materials directly from your customers. Now there are so many new ways to harvest that intelligence and value. Of course it is all about the 'How to' make that happen. An interesting example of using a network of smartphones as sensors, and converting that data into a form that can detect earthquakes and then communicate them through the same network. How predictive this system can be in accurate prediction is unclear. What are the costs of false positives? " ... California Institute of Technology researchers have created an app called CrowdShake (Still in prototype) that provides early earthquake warnings by converting a smartphone's accelerometer into a seismometer. ... "The accelerometer is already in the phone, the location is something the phone knows, it's not something that a person has to tell it," Guy notes. "And of course your smartphone knows exactly what time it is." .... The accelerometer serves as a sensor gathering vibration data, which is analyzed and then returned to the community with warnings when necessary. ... "
And also a video on the subject. An Overview of Stanford's Startup Garage Course. From the perspective of innovation vs Invention. Have heard of this course, but this is the first detailed view I have seen. " ... Like so many important lessons, Stefanos Zenios learned the difference between innovation and invention in the classroom. But that wasn’t the Stanford professor’s original goal. Ten years ago, Zenios got interested in experiential learning for multi-disciplinary teams. The result was a course in which groups of medical school student were tasked with inventing something--usually some sort of device--to fill a medical need. But they couldn’t stop there. ... "
See the Startup Garage site.
" More food retailers are getting in on the technology game, offering multiple options to boost convenience and compete with online retailers. Kroger's in-store technology lets cashiers scan mobile gadgets to access customers' loyalty points, coupons and other data; the chain also allows prescription renewal via smartphone. Wal-Mart Stores and other retailers also are beefing up their tech arsenal to increase speed and convenience -- factors that drive consumers to shop online. ... "
In the BBC: A little tongue in cheek, but I agree with the long range premise. That the Web has become a sort of brain with memory and store of expertise. And that our machines will need to be taught to use it. I disagree that general intelligence may be close at hand, but the path is being scoped out today. And part of that scope will be provided by the Web. Via Paul Graham. As a person who has always been warned up front to always worry about how things scale in practice, I like the brashness of this suggestion. Includes a number of examples " .... One of the most common types of advice we give at Y Combinator is to do things that don't scale. A lot of would-be founders believe that startups either take off or don't. You build something, make it available, and if you've made a better mousetrap, people beat a path to your door as promised. Or they don't, in which case the market must not exist. ... Actually startups take off because the founders make them take off. There may be a handful that just grew by themselves, but usually it takes some sort of push to get them going. A good metaphor would be the cranks that car engines had before they got electric starters. Once the engine was going, it would keep going, but there was a separate and laborious process to get it going.... "
An idea I remember hearing about a decade ago. Besides the direct visualization of the data, the ability to transmit that data would be useful. Consider then that you would be part of an internet of things. Appears to still be a concept. A good overview by Jason Hong, of some of the accomplishments of Douglas Engelbart, whose passing and personal interconnections I mentioned last week. Using a Wifi doppler shift to do gesture control. In Hackaday. Not sure how practical this is, but an interesting play. Includes a demonstration video. In Nextweb: A phenomenon that I had not heard of. And based on my experience it is hard to see how blocks of emoticons could sell as a service. But it is selling very well in Asia, and particularly in Japan. " ... Stickers are larger-scale emoticons which are primarily used for instant messaging (IM) chats. They are popular among some, particularly in Asia, because they help convey emotion, and are more visual than blocks of text. Stickers typically come in packs of up to a dozen, most of which are free to download and use, but some services charge $1/$2 for premium packs — which may be customized for brands, products or limited edition events. ... " . The article linked to gives a good demonstration. Sites scrape lots of information to get better understanding of the user. So why can't this information be used to create active interface design, and a better personalized experience? Good guest post in GigaOM. Sometimes the very obvious need to get some little things correct can make all the difference. Here is just one simple example from GS1. Get your data right first. " ... A group of food retailers, wholesalers and manufacturers is calling for CPG manufacturers to “measure, validate and communicate” weights and dimensions of product cases before they are shipped to retailers. ... "
Interesting piece from ..... Susan Ganeshan, Chief Marketing Officer at newBrandAnalytics, writes .... " ... Various industries use social intelligence to make strategic business decisions in a number of ways. Whether making large-scale decisions like how to spend a small budget or selecting a location for a new retail store, or even small decisions such as brand refreshes or uniform updates, social media plays a significant role in the decision-making process. ... "
In POPAI: A diagrammatic look at shopper front end and check out behavior. This is an infographic that I like, because it shows how things work, as opposed to being a replacement for a data visualization, that shows quantitative relationships. In Time: Numbers of people in the programs are still increasing, but number of programs are decreasing. A fairly extensive article about this mini trend. Customers concerned about data privacy, and the sheer inconvenience of carrying and fumbling for multiple loyalty cards. Though the latter could be solved by carrying more of them in digital form on a smartphone. This still does not seem to be common practice. If this continues it will change the kinds of data we can gather. In the Atlantic: The Future of humans in the approaching era of artificial intelligence. Its is coming, but I am still skeptical of the timing predicted, but it will happen. How many humans will be replaced, now many more knowledge workers than in assembly line robotics, and what will the implications be? First is the introduction of the new term Loyalty 3.0 and the second was the integration of the concept of Big Data as it can be used by what are called gamified systems. I had not thought of either of these concepts as closely related. Paharia does an excellent job of linking gamification with theses ideas. He also introduces the basic concept of gamification itself. It is not as is often expected, about playing games to solve problems, but is linked to the " ... spark of adding gamification mechanics to systems we want to enhance .. "
He goes on to carefully describe what each of these mechanics are and how they add to a Loyalty 3.0 engine for interaction with groups of people. He also dissects different kinds of motivation and how this is key to create engagement and loyalty. He presents the five basic motivators that can drive this. The first 91 pages of this book do an excellent and very readable exposition. So where does Big Data fit in? It provides the value added element for your stronger, higher quality, longer lasting engagement with the participant. It produces value based on the analytics which uses the data gathered. This results can then be feed back to the user to enhance their motivation to achieve the goals of the system. The integration of these elements is a clever insight. The idea is only as good as it works in practice. We learned that with our own experience. After page 91, in a section called execution, the book provides a number of recent examples. Classified as case studies in customer engagement, skills and learning and employee engagement. Despite my own research in this area, I knew only a few of the examples, so I found this very useful. Each of the case studies is then related back to each of the building blocks of motivation and gamification mechanics. Business benefit is directly included. Pass this book on to management with key sections highlighted. I particularly like the examples of LevelUp for training customers in Photshop, and Nitro for engaging employees to interact with Salesforce. These related well with domains we experimented with. Lots of additional examples. The final section, on Direction, talks about how to put together gamification projects and form organizations to do this kind of work. Lots of good suggestions that are applicable to any large project, but directly related to motivation and game mechanics. And the use of resulting data and analyses that result. An easy read, non technical, lots of examples, good tips and relevant project management discussion. Heartily recommended for both management and the analyst be introduced to these concepts. See also the Loyalty 3.0 site, with more examples.. And on Twitter. Additonal white papers and video at the Bunchball site. Very small computers Complete computing systems the size of credit cards. or smaller. Was looked at for possible sensor duty. But once you could communicate easily with remote sensors, were largely put aside. Still valuable for the right applications. The Raspberry PI is the best known. I got a chance to look at an application manual for its use recently that open my eyes to data rich capabilities. In AdAge: An unusual approach to make the case: " ... GE Makes Short Films In Tiny Town About Big Data ... Company Looks to Illustrate the Industrial Internet Through Scenarios Involving Blood-Sucking Vampires and Extraterrestrials ... ' Creator of Data-Generating Wind Turbines and Jet Engines Will Unveil Short Films to Illustrate the Industrial internet. GE wants people to understand that the internet of things encompasses far more than their refrigerators. ... "
More on the effort with a trailer on the effort that they call Datalandia. A long running project for improving inventory control at Macy's with RFID tagging. An update on their progress: " ... That inventory accuracy will indeed be critical, because Macy's currently is fulfilling orders from almost 300 stores locations, with plans to increase that number to 500 soon. Committing to a customer and a store fulfillment point and then not having the inventory there could cause real issues, especially because of the inventory challenges of soft goods (often just one of a given style-color-size in a given store). ... Harrison added that RFID is also being used in areas, such as shoes, for other reasons, such as sample management, with plans for other RFID applications in the works. ... "
I found this capability on the IdeaConnection site. Tagtal is a stylus that lets you copy from one touch surface to another, " ... "digital dropper", is an innovative capacitive stylus which can be used to pick up, hold and drop down data on from one touch screen surface to another ... "
A specialty use capability, I can see it being used to copy information from a mobile tablet to a specific place on a large screen touch display. In the NYT: A Digital Diaper that tracks infants health. Reminds me of the 'smart toilet' idea pioneered in Japan. Had not heard this specifically talked about in R&D in the diaper space. The connection to a smartphone App makes it an example of a remote heath monitor. " .... A New York start-up called Pixie Scientific has developed a diaper that the company says can detect possible urinary tract infections, kidney dysfunctions, and dehydration, accompanied by a smartphone app that can transmit the information to a physician. ... " Also in Venturebeat.
" ... Engaging mobile brand fans through social channels such as Instagram or by offering mobile games are some of the strategies brands are using to earn consumer attention in a space crowded with banner advertisements that users would prefer to ignore, executives from big brands including Forever 21 and GM say. Speaking at an industry event, representatives from top brands say personalization is key to mobile ad success. "There has to be an elegance to delivering the message because phones are such a personal device," said Jon Nolz of the mobile ad network Hipcricket ... "
In McKinsey: The rise of the generation 2 consumer in China. " ... In this video, McKinsey’s Yougang Chen explains how rising middle-class wealth and a new generation of young people are changing the rules for China’s consumer market and the companies that serve it. ... " We actively built agent based simulation models of the Chinese consumer. These findings could be inserted in these models to understand consumption behaviors in buying new products. At the heart of a successful deployment is still human intelligence. Hiring the right people is crucial. 'SMAC' delivers a much-needed combination punch for peak customer experience. Harnessing the power of big data and the priceless collection of experiences within it. The development of optimization: the perfect technology for complex sourcing. Smart grid data brings challenges and opportunities for the power industry. Combating a growing pandemic of corporate crime, from identity theft to insider trading. Fundamental principles include clarity, transparency, integrity and humility. Hurdles in pursuit of analytics. Mostly obvious, but good to review. I had mentioned a company we worked with in our innovation centers: 5th Screen. Had reason to look at some of the work they have done with McCormick spices in the innovation and retail spaces. Check out a description of their work here. Includes a video. Of particular interest to me the interaction of flavor and innovation.
" ... FlavorPrint is designed to provide a profile for a person’s tastes giving them a fun personality to walk away with. This evokes the emotion “Self-Creation”. This is an emotion that reveals itself through creating, enhancing and expressing one’s identity by stimulating self-reflection, status, bragging rights and values. Looking at the personas of 12 different “Flavor Personality” types, this interactive engagement leads the viewer down a path of engaging choices from food pictures. The user will select their favorite food dishes and the FlavorPrint Analyzer will determine their personal FlavorPrint based on their choices. Ultimately users are given a personality flavor name. This is represented by an ICON with slogan. Some users give answers that provide insight to secondary likes. They are given a second FlavorPrint when appropriate.... "
Training online has been done for a long time, but now the emergence of MOOC (Massive, Open, Online Courses) has made it easier yet to deliver training with more social and interactive dynamics. And IT people are already online to take advantage of it. A short look. MJ Perry examines the case of the US, where organ donor compensation is illegal, and Australia, where it is not. For the case of human kidneys. The difference produced by the efficiency of the market is remarkable. A future view of the intentions of Dropbox. " ... Dropbox wants to be your always-on hard drive, whether you’re using an iPad, an Android phone, or a PC. And if it’s going to reach that lofty goal, it will need more than a little help from the world’s software developers.... ". I already use it that way to establish my personal cloud. There are issues about how it will work with Apps, and be more secure. Some good thoughts and commentary in the article. In IEEE Spectrum: Very good piece on the challenge, its essential components and the results announced today. This is interesting too because it describes elemental tasks that are of interest to DARPA and also of industry. I see that the IHMC, the Institute for Human and Machine Computing, who we did work with, was one of the winners. See the informative description of their entry. Need to revisit their current work. In Fast Company: A telescope called a Tellscope. A terrestial rather than a celestial scope, with elements of augmented reality. The article discusses the hardware and software approaches involved. " .... One year ago, the tallest structure in the EU was inaugurated with cutting edge digital telescopes in the viewing deck. Thanks to some clever hardware encoders and software trickery, visitors to the Shard building can view London as never before. Here’s how they did it. ... "
Garmin has introduced a Heads up display interface (HUD) , to be placed on a car windshield, to be made available later this year. " ... The HUD is a small box that sits atop the dashboard. It offers two ways to view directions. It can project them onto a thin film that is applied to the inside of the windshield, or it can project them onto a reflector lens that attaches directly to the HUD. Either way, Garmin claims that the HUD provides "crisp and bright directions" that are in the driver's line of sight and viewable at a glance. 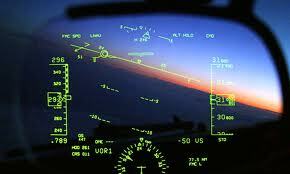 ... " - Note the heads up display on right is not Garmin's display. Another claim for a vendor gathering metadata from Smartphones, here from Motorola. Metadata, or 'data about data', has been trivialized as a source of personal information, but when combined with other sources of data it can be very insightful and potentially invasive. I have been looking for books that explain the difference of what I call analytics, in my long time consulting practice and the newly hyped arena of Big Data. I am always also on the look out for books that I can use with client groups to explain how analytics is powerful. The explanation has to be positioned with little or no complex mathematics. The examples have to be clear, and beg for their simple reapplication to new business domains. NumberSense includes these characteristics. Easy to understand, non technical examples. In the social/marketing/economic/sports domains. Clear positioning about how the problems should be staged. Not much about how the problems are technically solved, but that is for the data technologists. Not a how to book, but sets up the crucial cautions very clearly. I particularly liked the analysis of Groupon data, which clearly defines where claims and analyses can be wrong in marketing. A good marketing analysis example. Fung appreciates the fact that while having more, or 'big' data is useful, but it is more important to get the data and its analysis right, especially as it relates to the decision problem being addressed. Numbersense is paying attention to the origin and context of the data involved, and knowing enough about how the analysis will be applied to the real problem. Misinterpretation is the worst mistake you can make. In the final chapter Fung describes a day in his life as a data scientist. This was painfully reminiscent of some of my own enterprise experiences. Its often more difficult getting the data right than solving the technical problem. NumberSense: How to Use Big Data to Your Advantage by Kaiser Fung . See also his Numbers Rule Your World blog site for day to day examples.
" ... How does the college ranking system really work? Numbersense gives you the insight into how Big Data interpretation works--and how it too often doesn't work. You won't come away with the skills of a professional statistician. But you will have a keen understanding of the data traps even the best statisticians can fall into, and you'll trust the mental alarm that goes off in your head when something just doesn't seem to add up.... "
We worked with Herman Miller in the area of innovative office design. This is a short article on their concept of the living office. Although I have not been close to this space for a while, methods like P&G's Business Sphere are related. More about the Living Office concept. An indication that private label brands are holding their own after a slow recovery. " ... While private labels have existed for some time, the recession proved to be the inflection point for them to become a true force in the marketplace. And now that the economy is improving, private labels continue to increase in popularity due to both their improved quality and relatively lower price compared to national brands..... " Good detail in this article. An examination of query-less, or parameter-less search in Google Operating System. And the mention of a Google patent in the space. And its ultimate integration in Google Now. We explored the idea with MIT researchers. A researcher writing a document would have parallel searches invoked by a combination of the domain the researcher was working in, and the previous writings of that researcher and their colleagues. Links between these searches would be captured and presented as needed. The Economist looks at a number of information and data visualization books. What they look at is good, but is very incomplete. Largely based on infographics, and does not include the ability to interact with changing data. When I see something that is called an 'infographic' or is clearly that, it screams to me that it is both incomplete and static. Thus fundamentally wrong. Lots new is out there today. Worth a scan.